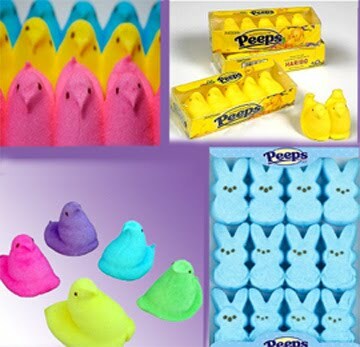 I have to say..I do love peeps!! Love that they are for every season now!! Thank you for popping by my blog…yours is so much fun!! Nice to meet ya!! Peeps are so cute! Thanks so much for stopping by my blog and following! I'm looking forward to following yours too! haha i remember eating those as a kids.. truthfully i dont find them as tasty as i use to but i do like chocolate treats for easter! ohhh, a throw back.. I loved peeps and my kids do too. I still buy them for the kids every time I see them in the stores. Love to stretch off the ears first. I will try Lin's suggestion. I love the header of your blog. So lovely.. Cute Katie…Have a very happy Easter, xv. I loved Peeps when I was young! Thanks for stopping by my blog! I'm getting ready to take my blog in a somewhat new direction. I hope you stop by to check it out. Can't wait to check out more of your blog. Good Wordless Wednesday…a feat I have not yet been able to accomplish. Do you know they have sugar-free peeps now?